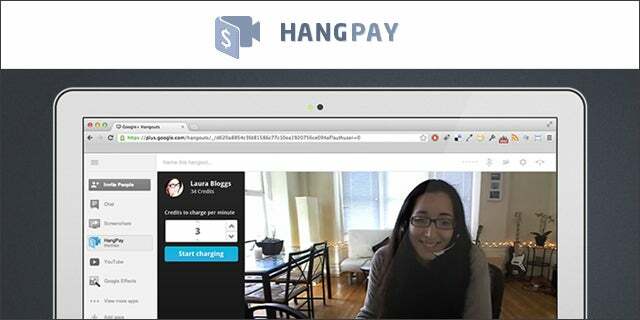 If you want to make some extra money on the side, HangPay lets you charge money for Google Hangouts. The process is simple: just share your personal HangPay link with someone. When they click on it, you’ll get a notification. Open up the Hangout, choose a price, and start talking. If they reject the fee, you can negotiate. HangPay uses Google Wallet for transactions, and they take a 4 percent fee. During the beta test, they’ve seen accountants, nutritionists, language tutors, and lawyers hanging out and getting paid. Seasoned entrepreneurs could also use HangPay to make a little extra money on the side. For example, they might provide consulting to companies or offer advice to newbies. Currently, advice startups like Clarity only offer voice chat. The Los Angeles company grew out of Curious Minds, an incubator cofounded by David Gonen and Jonathan Gonen. Communications manager Rob George admits that Google could add a payment feature and make HangPay obsolete, but he doubts they will. In fact, Google encourages independent developers to make apps for Google products by opening up its API software. Other Hangout apps include Aces Hangout Poker to play poker, and Wet.fm to listen to music and create avatars that dance. In the end, it’s an extraordinarily simple and useful app – and a reminder that our time is valuable.